— What is a Kentucky Mortgage Rate Lock? 620 is the bottom score (again with few exceptions) that lenders will permit. Below a 620, then you’re in a world of hurt. Even at 620, people consider you a higher risk that other folks and are going to penalize you or your borrower with a more expensive loan. 720 is when you really start to get in the “as a lender we love you” credit score. 740 is even better. Watch your credit scores carefully. You have three credit scores and the lender will take your middle score. When a homeowner with a FHA-insured mortgage can no longer make their payment, the lender forecloses on the home. FHA pays the lender what’s owed on the home, and the U.S. Department of Housing and Urban Development (HUD) takes ownership of the home. HUD then turns around and offers these properties for sale. Be approved for the program. Purchase a HUD foreclosure home. Live in the home as your primary residence. You can’t use the home as a rental property. 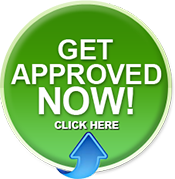 Have a minimum credit score of 620 and meet standard FHA credit guidelines. Still provide earnest money of $500 to $2,000 depending upon the property. Earnest money will be returned to you at closing as a credit. Additionally, the purchase price of the home must be equal to or less than the appraised value of the home. However, you likely won’t need to obtain an appraisal since HUD will already have one from their foreclosure process. But if a new appraisal is needed, it must be an “as is” appraisal without repairs included in the cost. If repairs are needed to the home, they cannot exceed $5,000. However, many properties have a repair escrow set aside to make repairs to the home that the FHA has already identified as eligible repairs. All repairs must be completed within 90 days. The home must be in a livable condition before the loan can be approved. Upfront mortgage insurance is required on all loans. You can pay for all of it in cash or have it entirely financed into the loan amount. FHA will pay all closing costs – up to 3% of purchase price. It may be difficult to take advantage of all the features of the program since your loan amount is limited to a specified percentage of the FHA appraisal. So if you decide to utilize the $100 down payment and the repair escrow, you may end up exceeding the maximum loan-to-value (LTV) ratio (the ratio of the loan to the value of the property), depending on the price of property. FHA deadlines are tight, so you must be able to move quickly with all required paperwork. Most lenders will wants a middle credit score of 640 for KY First Time Home Buyers looking to go no money down. The two most used no money down home loans in Kentucky being USDA Rural Housing and KHC with their down payment assistance will want a 640 middle score on their programs. This entry was posted in $10,000 Down Payment Assistance Grant Kentucky, $15,000 DOWN PAYMENT ASSISTANCE KENTUCKY 2016, 100% financing Kentucky Home Loan, 2017 HHF DAP KHC $10,000 Grant, 2017 Kentucky First Time Home Buyer Loan Programs, 2017 kentucky va loan limits, 3 Things The Lender Looks At When You Apply For A KentuckyUSDA Rural Development Home Loan, Bullitt County Kentucky Mortgage Loans, Common Questions from Kentucky First-time Homebuyers, Condo Financing FHA in Kentucky, Credit Score First Time Home Buyer Louisville Kentucky KHC, Current Mortgage Rates in KY, Documents needed for Kentucky Mortgage Loan Approval, Down Payment Assistance, Down Payment assistance and closing costs, Down payment Assistance and Grants, Down Payment Assistance Program - Housing - Louisville Ky, Down Payment Assistance Programs in Kentucky, FHA Loans Kentucky Housing First time home buyer, FHA/VA Louisville Kentucky, First Time Home Buyer in Kentucky Zero Down, First Time Home Buyer Loans--Kentucky, First Time Home Buyer Programs Louisville Kentucky, Home Buying And Down Payment Assistance Programs In Kentucky, home ownership program louisville ky, Kentucky Home Buyer & Homeowner Mortgage Guide, KENTUCKY HOUSING CORPORATION, Kentucky Housing Mortgage Rates Louisville Kentucky, Kentucky HUD Homes for $100 Down, Kentucky Mortgage Rates, Kentucky Mortgage Rates and Home Loan Options, Kentucky Mortgage Rates FHA VA KHC, Kentucky Mortgage Refinance Questions to ask, Kentucky USDA Loans, KHC Down payment Assistance Program Kentucky Housing, KHC Kentucky Housing, KHC Mortgage Rates / Kentucky Housing Rates, KHC RATES, Louisville First Time Buyer Mortgages, Louisville First Time Buyers, Louisville Kentucky FHA Loans Lexington Kentucky FHA Loans, Louisville Kentucky FHA Loans Lexington Kentucky FHA LoansElizabethtown Kentucky FHA Loans, Louisville Kentucky First Time Home Buyer, Louisville Ky First Time Home Buyer Loan, Louisville Ky First Time Home Buyers, USDA No money down mortgage Louisville Kentucky Kentucky housing corp 30 year fixed, VA Loan REquirements for Kentucky. Bookmark the permalink.